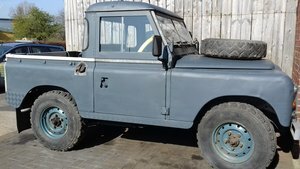 This is a Land Rover 88” Series 3 (Reg number SSS 974K) which has had a 200tdi conversion, respray and new chassis c.10 years ago. 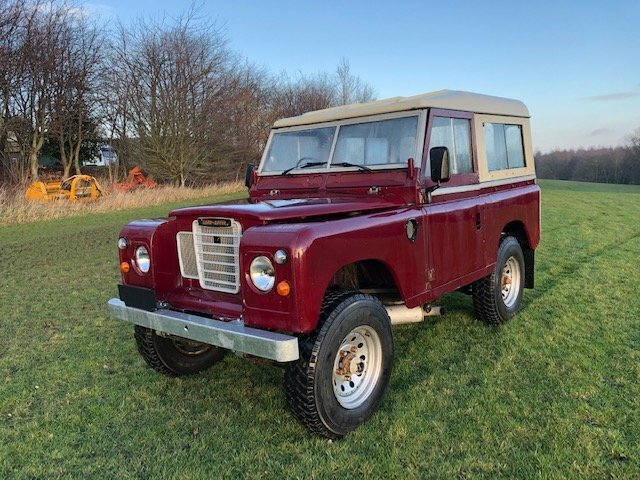 Starts and runs without fail and could be used as a work horse (currently used on private land as a working vehicle without issue) or good starting point for a project. 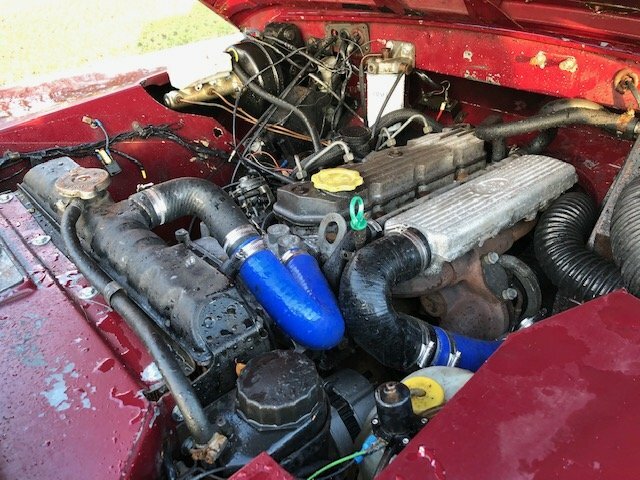 It has recently been serviced and had new front timing belt, front engine seals, filters, glow plugs, battery and battery box. It currently has a discrete passenger side exhaust but comes with the conversion pipe should you wish to mate the 200tdi to the original rear exit exhaust. I’ts MOT exempt but starts, drive and stops. 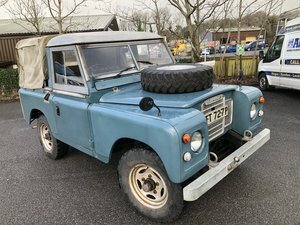 This Land Rover also has working free wheeling front hubs and a Rocky Mountain Overdrive fitted. I recently fitted a new galvanised front bumper and the bulkhead looks fine. 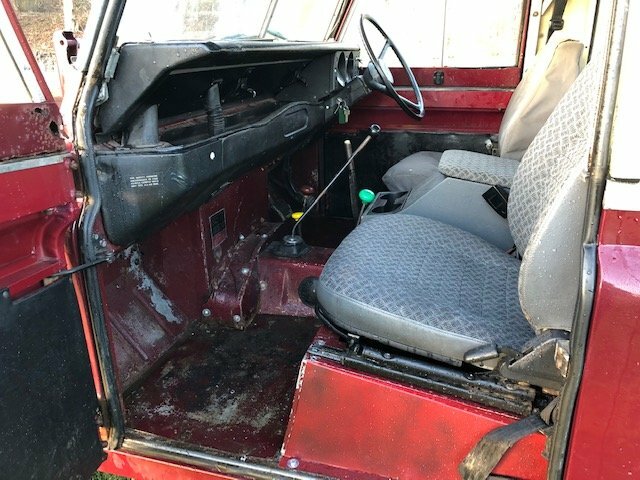 The door tops (specifically passenger side) ideally need replacing, however the bottoms are in great condition. 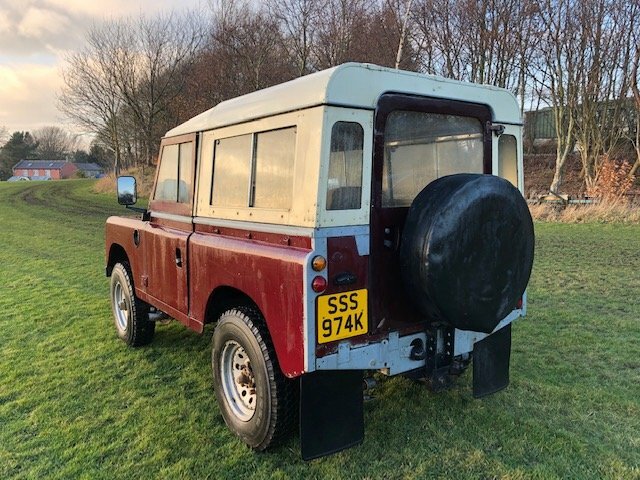 We have been using this Land Rover as a working vehicle with the intention of slowly refreshing elements but new child has removed all our spare time. I have a full set of brand new hoops and canvas hood that can be included in the sale for £500 and black vinyl front seats and centre arm rest for £150 if you want them.